I had already done most of a facing page and used the sketch for the other half of that. I wouldn't call it a double because there backgrounds aren't the same (and I tend to keep my backgrounds exactly the same) but more importantly there are no elements that stretch across the join which is what I think makes a double layout. 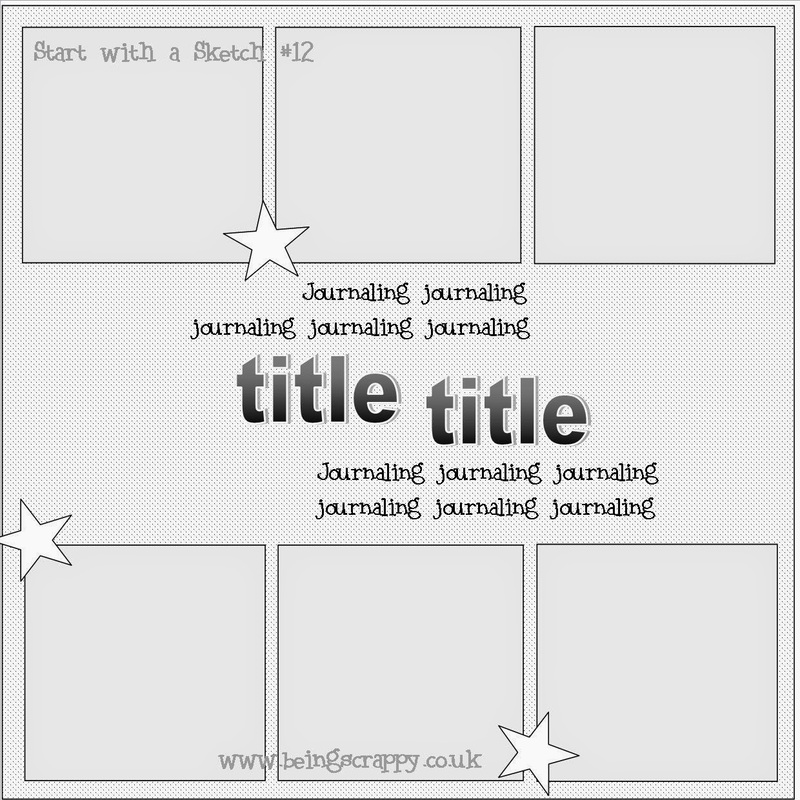 (well the title does I suppose...) So I'm calling this two facing pages rather than a double layout! 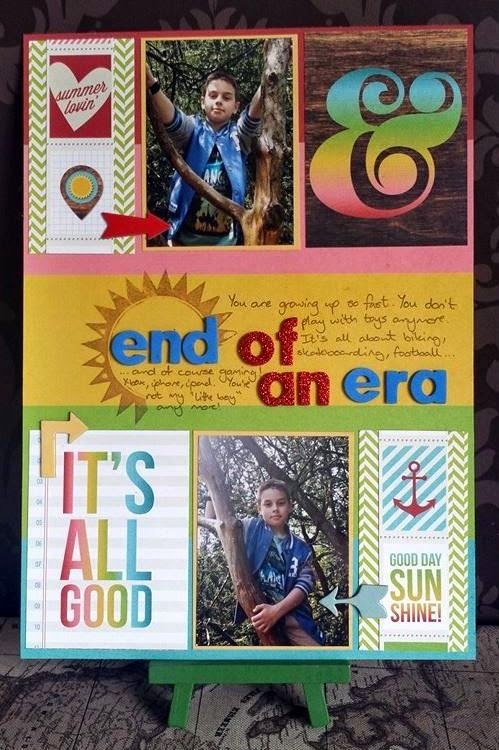 Please share your layouts on Instagram using the hashtag #uks2014summerscrapbookingchallenge and also in the UKS dedicated Gallery. Start with a Sketch: Who will be the Winner?